You get the truth from real people. The mainstream media hasn't been real for years. It now exists to promote death, destruction and hate to get more ad dollars! There is a double standard and it was created by our own government with the assistance of it's mainstream media propaganda machine. My only question would be, why would the teacher be upset about affirmative action being eliminated. He's actually upset about an advantage given to minorities? All of it needs to end. We are equal and all need to be treated that way. An article that appeared on Yahoo has already said that the suspect was Black. Why do we need to know the color of his skin? The only reason anyone says anything about color is to promote racism. 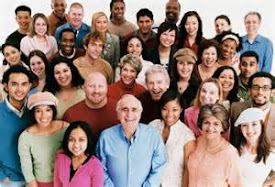 We're all human beings and while we all maybe different shapes, sizes and colors we are still the same. We must look at the root causes to the shootings, to the suspects past and to the police officers past and reasoning at the time of the shooting. I'm not trying to justify any Police Officer shooting any suspect but do we really appreciate how difficult it is to be a Police Officer? These incidents are few and far between and that doesn't make them but it does give pause to the reasons they're highlighted so much by a mainstream media that today is only trying to sell advertising. It's about money and not the desire to provide true news to the World. #blacklivesmatters is a racist organization and it's sole purpose is to insight racism. Our own Government has backed them and propped them up! #nofar was founded to fight all racism wherever it exists. 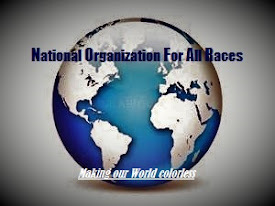 Our name says it all, National Organization For All Races! The only Black and White issue we have is the one that our own government causes! WASHINGTON ― President Barack Obama participated in an ABC News town hall on Thursday to discuss racism and police brutality, but many viewers saw it as a missed opportunity, saying there wasn’t nearly enough emphasis on the need for comprehensive police reform. “The President and The People: A National Conversation,” an hour-long program, was hosted by “ABC World News Tonight” anchor David Muir and moderated by ESPN’s Jemele Hill and ABC News correspondent Deborah Roberts. We at Freedom Fighters of America #ffoa and National Organization For All Races #nofar will never say that all Police Officers are right all of the time. Clearly there are incidents when they use excessive force. No one should claim that excessive force is used in every White Cop causing a Black Suspects Death incident. If we do the message your trying to convey is lost in color. No matter who you are you have to admit that a lot of the Black Suspects put themselves in the these situations from the start. Lengthy arrest records, disobeying police commands, resisting arrest, fighting officers and now not revealing weapons until the situation escalated to the point of no return. Maybe arresting Blacks is not a product of color but a product of environment, upbringing, education, wealth and common sense. I don't want to hear that Blacks don't have the same access to everything that White's do because that's not true. Affirmative Action provides lower standards for minorities to gain access to education. The President has proven that you can be Black and get elected by White people. That old argument is done! I still cannot believe that his girlfriend continued to film even after she said, "I hope he's not dead?" Shouldn't she be trying to help him? If I cared about someone I would and I think most of the World would do the same! #ffoalivesmatters and that is everyone of us who believes that our country needs a great wake up call before we get so far down the road we can't see where to turn around! In her 23 years on the U.S. Supreme Court, Justice Ruth Bader Ginsburg has created a legacy of important opinions ranging from protections for the mentally disabled to gender discrimination to the use of international law. In addition to labeling the Republican a "faker" and calling for him to turn over his tax returns, Ginsburg criticized Republicans in Congress for impeding President Barack Obama in his final year in office and all but endorsed the confirmation of Judge Merrick Garland for the high court. (CNSNews.com) -- “I believe that [Black Lives Matter] has been a very destructive force in America,” Vanderbilt University Law Professor Carol Swain said during a recent debate on CNN with a civil rights attorney who defended the group. “I urge all of your viewers to go to their website and look at what they’re really about,” said Swain, who is African American. The final moments before Philando Castile was killed by a police officer during a traffic stop in suburban St. Paul revolved around a gun he was licensed to carry, trained to use safely and instructed to tell authorities about when stopped. If you have a concealed carry permit and have a weapon on you when you're stopped the first thing you are required to do is to tell the officer. If you don't and this incident happens to you it's your fault not the officers. It's amazing how his girlfriend continues to film after Castile is shot and saying, "I hope he's not dead?" Seems a little cold doesn't it. He didn't stop them because they were Black, he stopped them because the suspects in a recent robbery were Black! This is not a race issue. This was an issue of someone who didn't do what their were required by law to do and paid the ultimate price. D.L. Hughley starts the conversation with valid points like, Mark Fuhrman should be talking about other people lying but then goes the way of Obama's speech the other day with everyone forgetting the original intent of the conversation and only remembering the bad ending! Speaking in the wake of the Dallas horrors, President Obama correctly assured us that race relations are not as bad in this country today as they were during the Watts riots of the sixties. But that was over fifty years ago and is only part of the story. Throughout the eighties and nineties and into the 21st Century those relations had improved to the extent that none other than the great actor Morgan Freeman could have this 2005 exchange with host Mike Wallace on 60 Minutes. 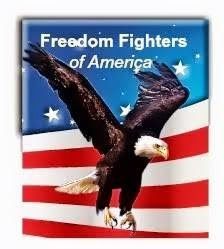 We at Freedom Fighters of America and National Organization For All Races agree that there are no African Americans, Asian Americans, Mexican Americans, European Americans, White Americans, Black Americans, Brown or any other group of Americans, JUST AMERICANS! We at Freedom Fighters of America are glad that someone else is speaking out against the racists organization and groups that exist only to exploit their own race! As soon as she made these comments she was attacked. That speaks volumes about their agenda! You read this first from Freedom Fighters of America and a lot longer ago than last night. We have been saying for years that Obama was dividing our country and instituting policies and unlawful executive orders that are bringing this once great nation to it's knees. Obama is our Terrorist in Chief and protects Muslims before Americans and divides the racist like Moses parted the Red Sea! We at Freedom Fighters of America are so glad that the mainstream media is finally catching up to the agenda of the terrorist in the White House! It felt like a watershed moment for a scattered and still-young civil rights movement. Inside Black Lives Matter, the national revulsion over videos of police officers shooting to death black men in Minnesota and Louisiana was undeniable proof that the group’s message of outrage and demands for justice had finally broken through. Black Lives Matter is just another racially divisive organization founded on the premise that no one cares about Black people other than Black people. Well with the majority of murders or any crime for that matter against Blacks being committed by Blacks you would think they would address this issue first but that doesn't sell or get donations. White on Black crime now there's something they can get behind and make a few dollars. When is Black leadership (by the way the President is Black) going to stop allowing it's own people to die while identifying only another color as the culprit? When is Black leadership going to ask why 80% of all abortion clinics are in minority communities or is THE murder of more Blacks acceptable under the guise of helping women? When is Black leadership going to admit that programs like Affirmative Action only serve to keep it's own people from achieving the same as others? Affirmative Action doesn't help anyone get into a great college or university, it's sole objective is to keep minorities beneath Whites. When will everyone stop seeing the cop as a color and the victim as another color? Racism fits the narrative that our own government perpetuates and needs to remain in power? The mainstream media spouts the propaganda for the government machine without question and they will never be trusted again. When will we stop fighting each other and join hands in the battle against our own government who cares more about it's own power and money than they do America or it's citizens. The greed of men will be the downfall of humanity if we do not address the root causes of all our issues. You can be politically correct until it kills all of us or you can say the right thing, do the right thing and walk the difficult path to the truth. All of us together can save the greatest country in the history of history! Our government continues to promise better and brighter futures for all of us if we keep electing them but that day never comes does it? Our elected officials continue to know better than us and keep the snowball of confusion barreling down the mountain to our total destruction as a nation. Our government divides and conquers it's on people to achieve their objective, MONEY AND POWER! Black Lives Matter was only relevant to a select few and has worn out it's welcome. The incidents that sparked this new round of killing were not about White Police Officers and Black Victims, it was about men killing other men. 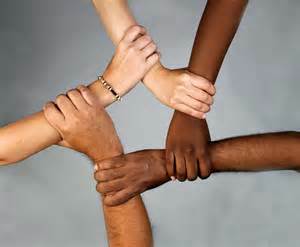 We will only be at peace when we all stop seeing our favorite color and see everyone as one race of people. The nation’s largest police union is calling on the Justice Department to investigate the fatal shooting of five police officers in Dallas Thursday night as a hate crime — and is criticizing President Obama for his response to the shootings so far. It is our governments intention to pit Black against White and everyone against the Police. We all need to ban together and direct the fight at our own government. They are the ones screwing our country up in the name of greed and blaming it on the Whites, Blacks, Hispanics, Police, Patriots and any other color or group they can get their hands on! Another video of a police shooting has once again put attention on racial disparities in the criminal justice system. On Tuesday, police shot and killed Alton Sterling in Baton Rouge, Louisiana. The video shows police pinning Sterling down, then shooting him after allegedly seeing a gun. Video has been changing Americans' views toward police for more than 25 years. In 1991, four white Los Angeles police officers brutally beat Rodney King, an unarmed black man, as it was caught on video, sparking local riots and putting a spotlight on longstanding feelings of distrust toward law enforcement in minority communities. The video in particular has been credited with forcing cities to reconcile with — and sometimes reform — how they police minority neighborhoods. This article and it's content are just other ways to divide the races. We're more segregated today than we were 50 years ago and it's getting worse. So-called Black Leaders, Jesse Jackson, Al Sharpton and news organizations, blogs and columns infer that Blacks blame Whites for a lot and don't really know why other than color of ones skin. Is that not racism? Blacks have their own award shows but want to cry foul when they are not nominated in the all of the other mainstream shows intended for all races. Blacks have their own TV Networks but cry foul when Blacks are not included in shows on the other major networks. Blacks have their own universities, but didn't Blacks fight so hard to be included in White schools many years ago. Why would Blacks still want their own universities? Blacks talk about a different set of standards but yet accept them in many different forms. Affirmative Action is for minorities and not for Whites. Why would Blacks accept a lower standard in the most important aspect of increasing the intelligence and stature in a race? The Mainstream Media only reports the .01% of White on Black incidents that they feel went wrong because it sells and not the other 99.9% that went right because it doesn't sell. Did we ever stop to think that this so-called disparity in shootings by race is present in a lot of other areas. Check the stats for anything and you will find that the disparity exists everywhere. We all choose color as the reason for disparities between the races not environment, education, culture, upbringing, parents, income or poverty level. Race is not about race but about the factors that caused the disparities and it can't be the color of ones skin. 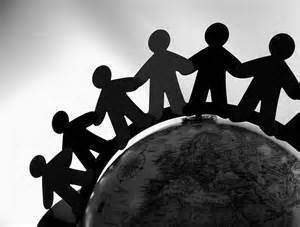 Once we stop seeing people as Black and White only then will we all be free!